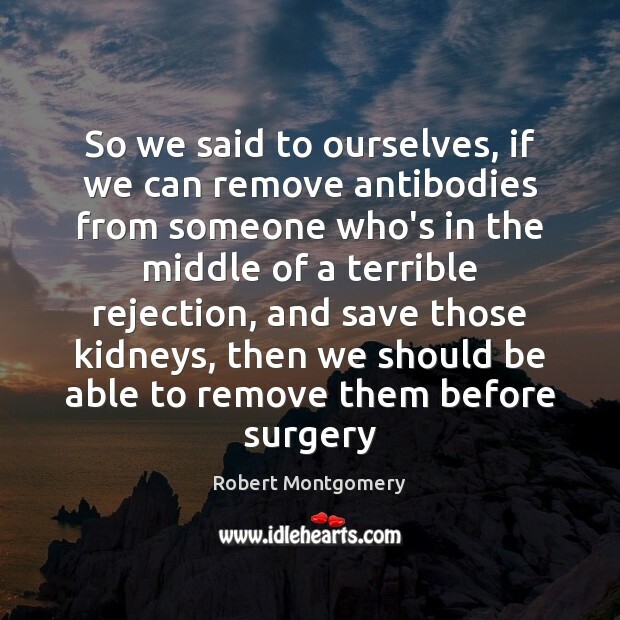 Quotations about Antibodies. Quotes to stimulate mind and drive action! Use the words and quote images to feed your brain inspiring things daily! 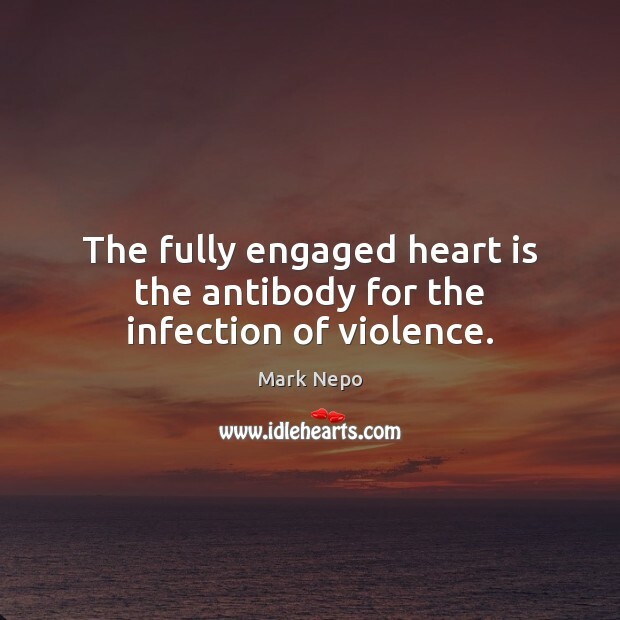 The fully engaged heart is the antibody for the infection of violence. 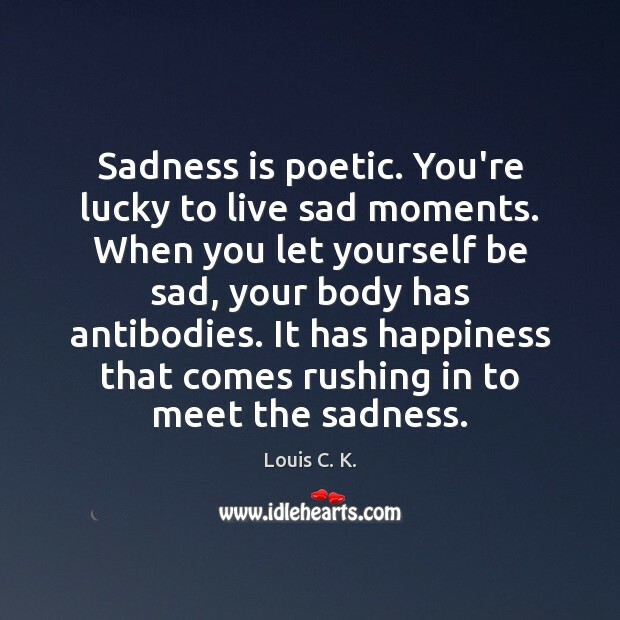 Sadness is poetic. You're lucky to live sad moments. 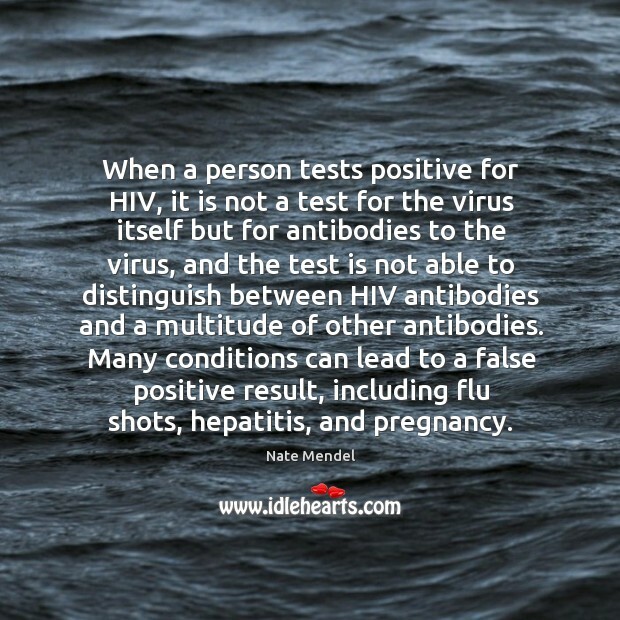 When you let yourself be sad, your body has antibodies. It has happiness that comes rushing in to meet the sadness. We are learning that the earth functions like an invisible organism. We are the various cells of one living being. 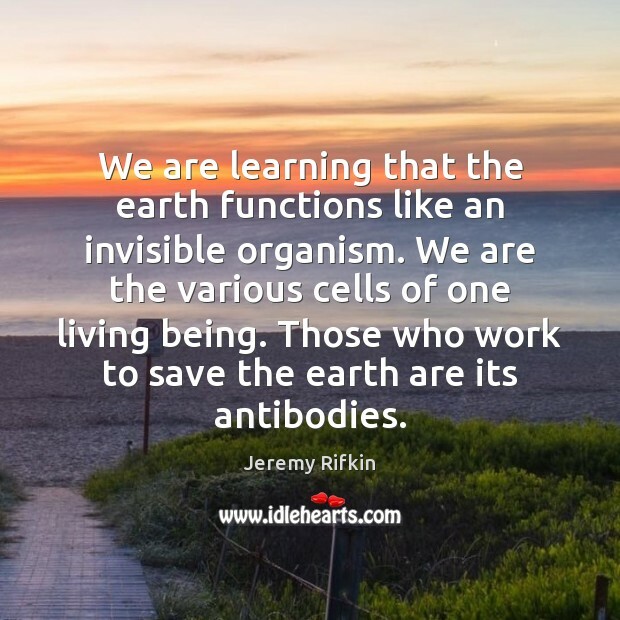 Those who work to save the earth are its antibodies. 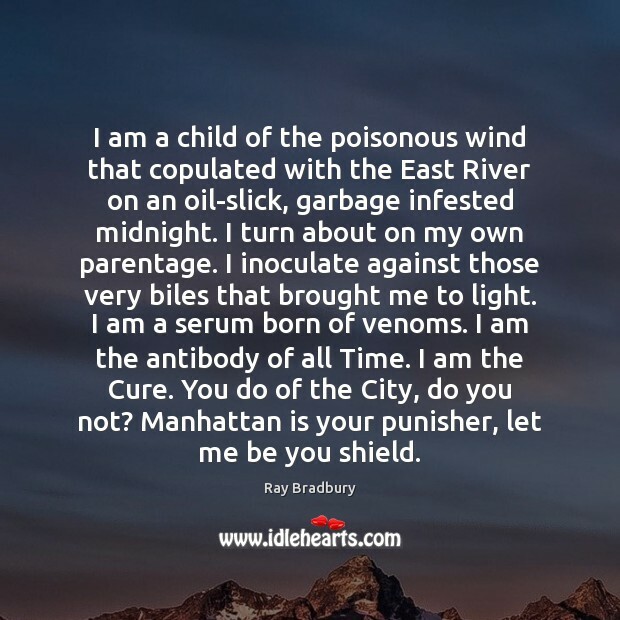 I am a child of the poisonous wind that copulated with the East River on an oil-slick, garbage infested midnight. I turn about on my own parentage. I inoculate against those very biles that brought me to light. I am a serum born of venoms. I am the antibody of all Time. I am the Cure. You do of the City, do you not? Manhattan is your punisher, let me be you shield. 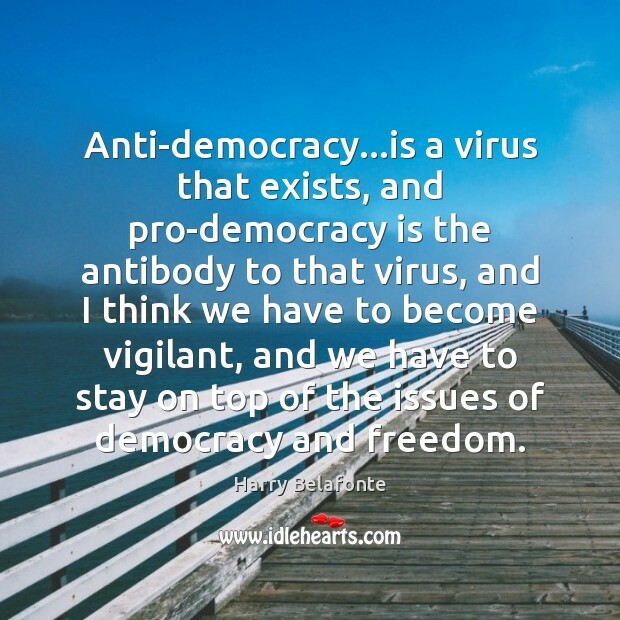 Anti-democracy...is a virus that exists, and pro-democracy is the antibody to that virus, and I think we have to become vigilant, and we have to stay on top of the issues of democracy and freedom. 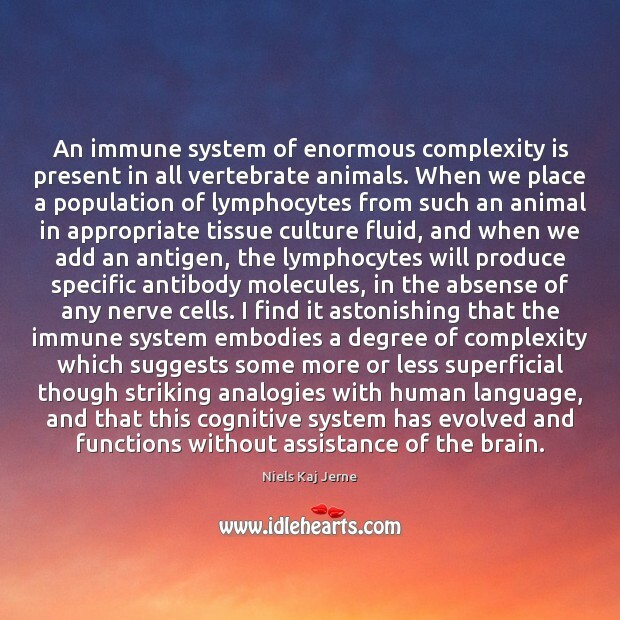 An immune system of enormous complexity is present in all vertebrate animals. When we place a population of lymphocytes from such an animal in appropriate tissue culture fluid, and when we add an antigen, the lymphocytes will produce specific antibody molecules, in the absense of any nerve cells. 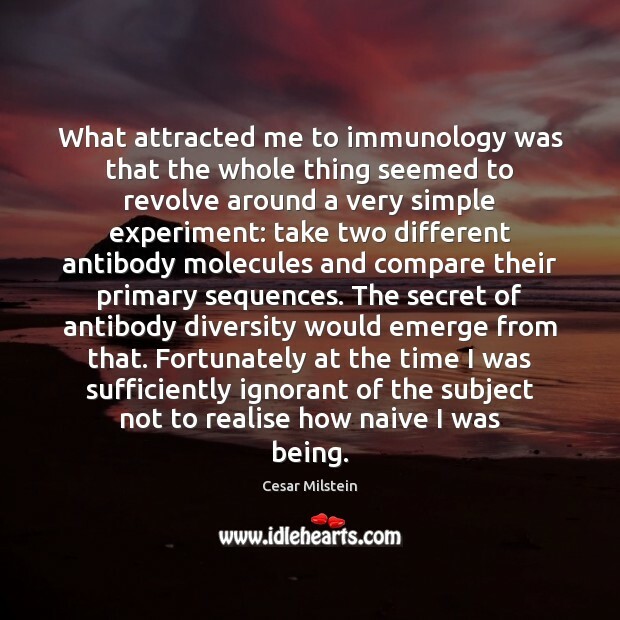 I find it astonishing that the immune system embodies a degree of complexity which suggests some more or less superficial though striking analogies with human language, and that this cognitive system has evolved and functions without assistance of the brain. 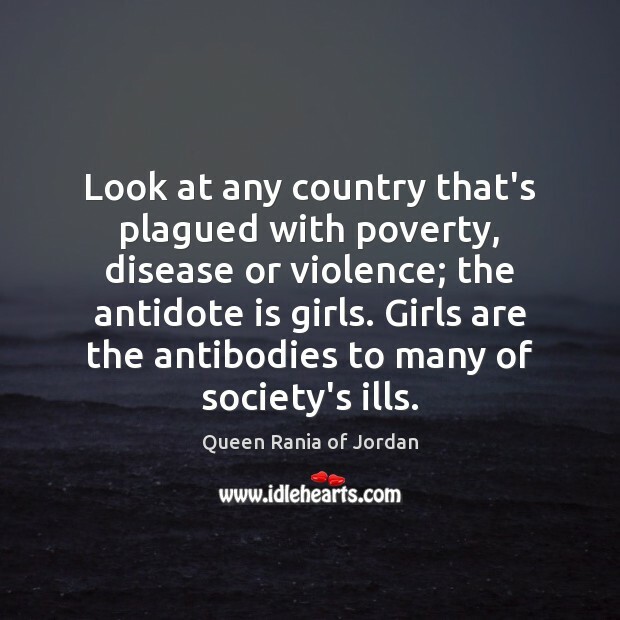 Look at any country that's plagued with poverty, disease or violence; the antidote is girls. 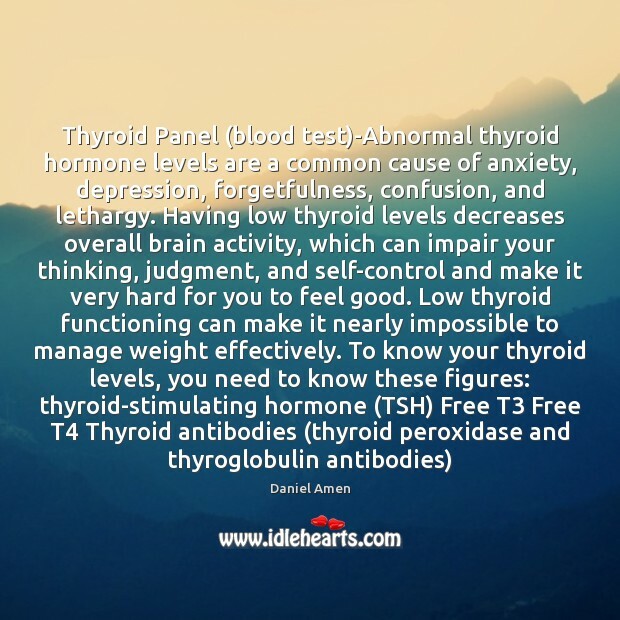 Girls are the antibodies to many of society's ills. Look, I can surely say by now that I've got the antibodies to communism inside me. 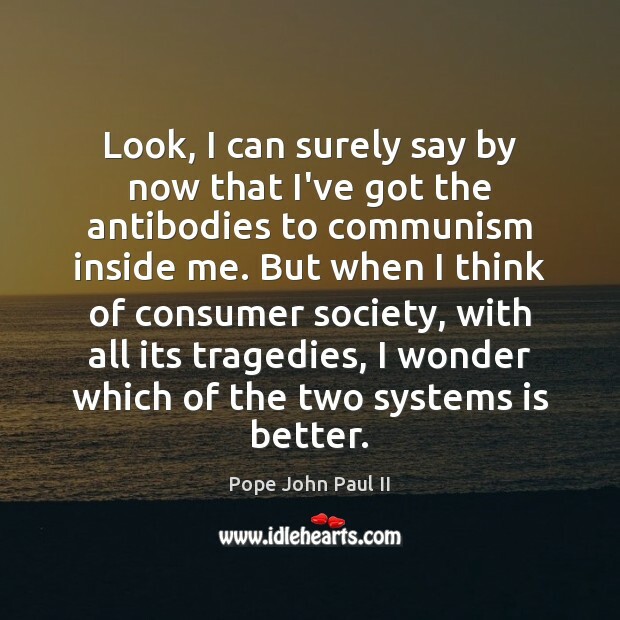 But when I think of consumer society, with all its tragedies, I wonder which of the two systems is better. I think humor is incredibly positive, I think it is life advancing. 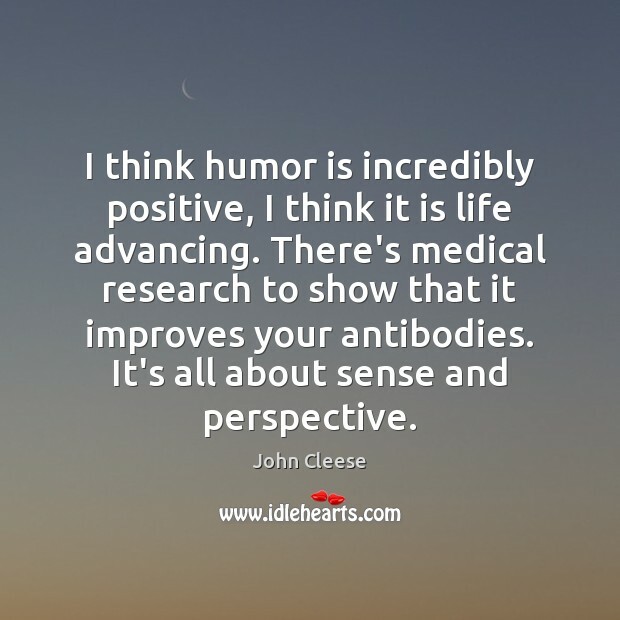 There's medical research to show that it improves your antibodies. It's all about sense and perspective. 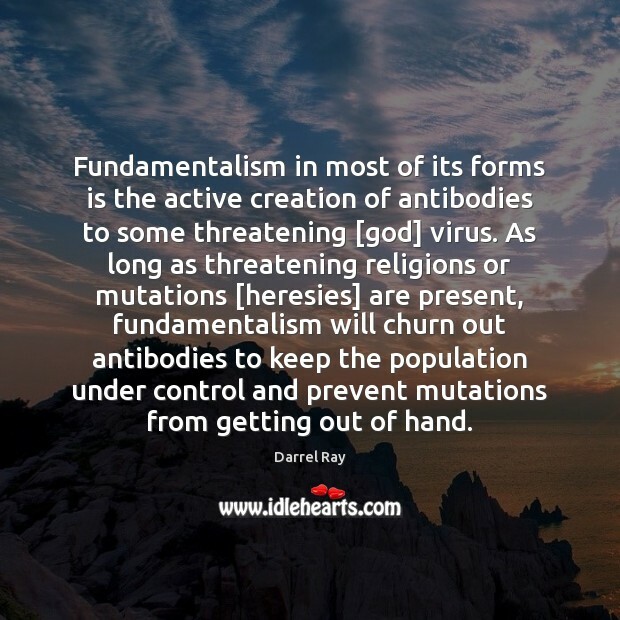 Fundamentalism in most of its forms is the active creation of antibodies to some threatening [god] virus. As long as threatening religions or mutations [heresies] are present, fundamentalism will churn out antibodies to keep the population under control and prevent mutations from getting out of hand. 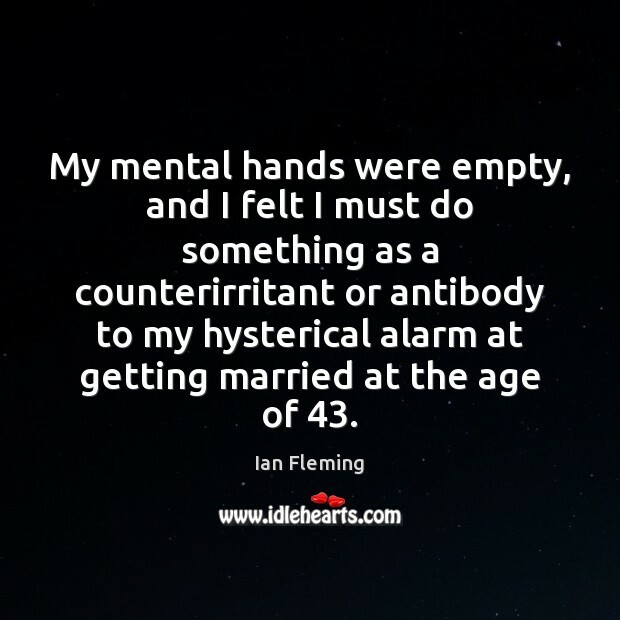 My mental hands were empty, and I felt I must do something as a counterirritant or antibody to my hysterical alarm at getting married at the age of 43. 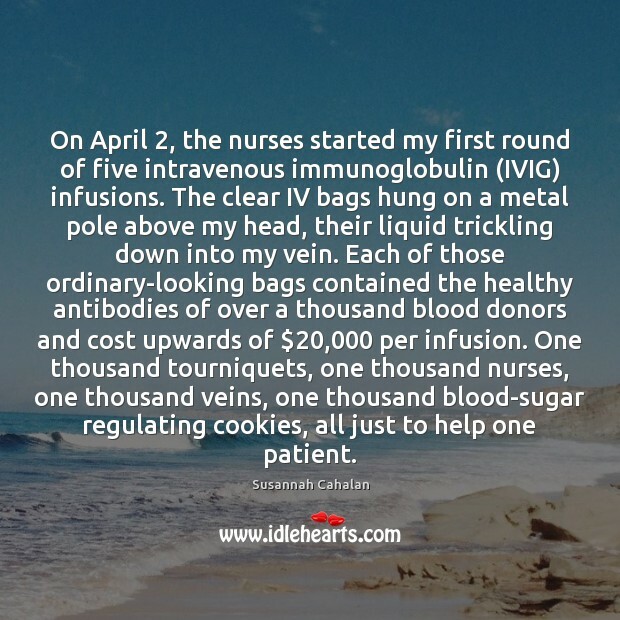 On April 2, the nurses started my first round of five intravenous immunoglobulin (IVIG) infusions. The clear IV bags hung on a metal pole above my head, their liquid trickling down into my vein. Each of those ordinary-looking bags contained the healthy antibodies of over a thousand blood donors and cost upwards of $20,000 per infusion. One thousand tourniquets, one thousand nurses, one thousand veins, one thousand blood-sugar regulating cookies, all just to help one patient. In my work, I present questions and concerns. 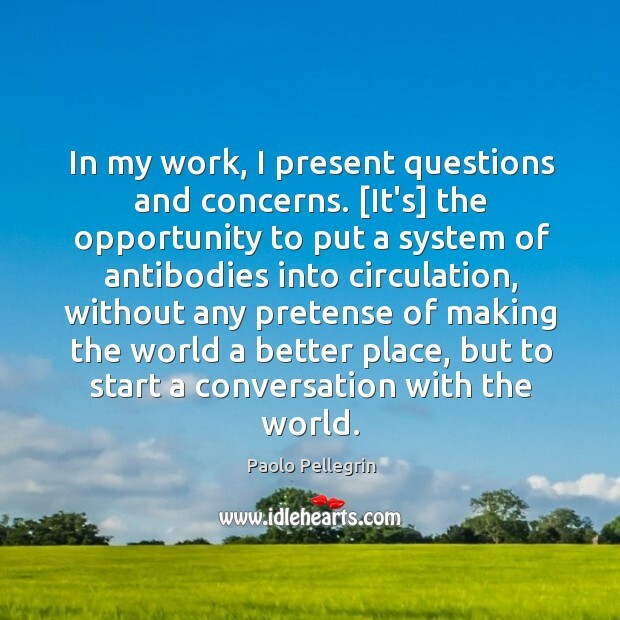 [It's] the opportunity to put a system of antibodies into circulation, without any pretense of making the world a better place, but to start a conversation with the world.